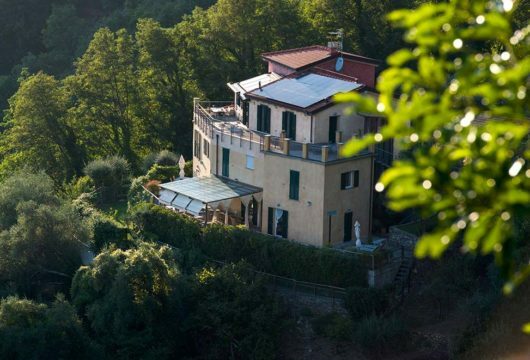 Bed & Breakfast Villa Paggi country house is set on a hill, 15 minutes’ drive from the most beautiful beaches of the Ligurian Riviera. 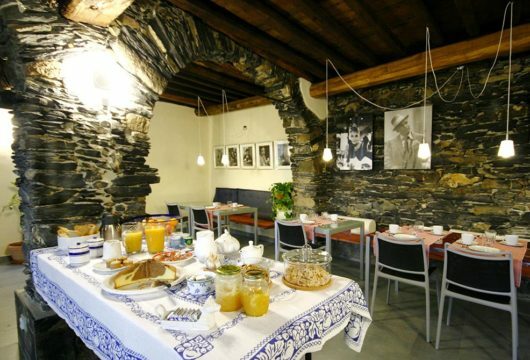 Our small comfortable and cozy hotel, with no architectural barriers, is able to offer a quiet and relaxed retreat, a pause from daily frenzy, a base for excursions to discover Liguria. 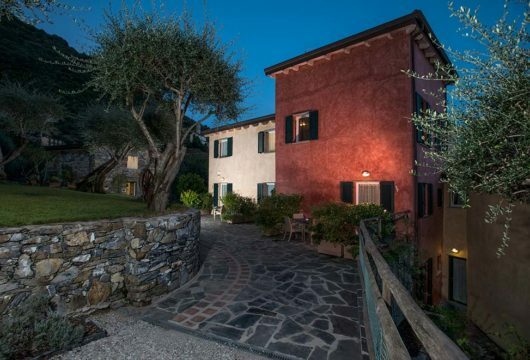 Completely restored according to the principles of bio-architecture, the ancient stone farmhouse, dating from the mid-nineteenth century, reflects our attention to the environment and the land. 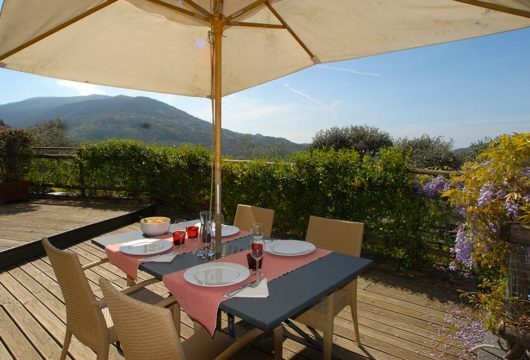 Villa Paggi country house is located 180 meters a.s.l., in the hills of Chiavari inland and is seven kilometers from the beaches of the Ligurian Riviera. Thanks to the shelter from the winds and the excellent exposure to the sun, the microclimate of this place is particularly mild throughout the year. From the house and garden the view overlooks an open view of the surrounding woods and the sea. 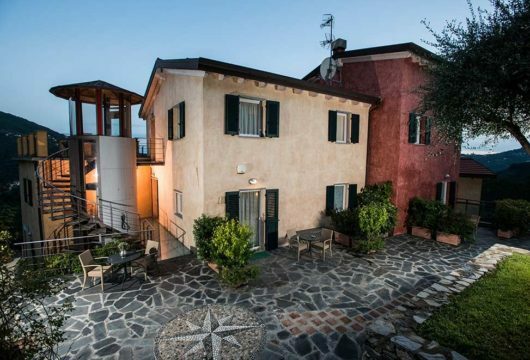 Just a few minutes drive away, the towns of Chiavari, Lavagna, Sestri Levante and Rapallo offer entertainment and all services for tourists, shops, restaurants and nightlive. Some of the most beautiful inland valleys start right from here. The valleys Graveglia, Sturla, Aveto and Fontanabuona are worth a visit for the peculiar natural beauties, including the Natural Park of the Aveto and the Reserve of Agoraie for the presence of valuable historical testimonies such as the Basilica dei Fieschi and the Abbazia di Borzone, and for food and wine, with a rich offer of typical products for gourmet lovers. 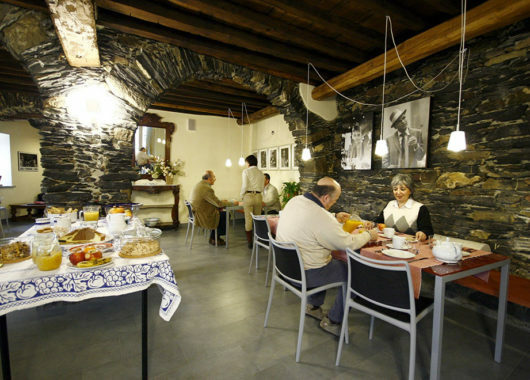 A rich and varied buffet breakfast with organic food and typical Ligurian products. Reading room. 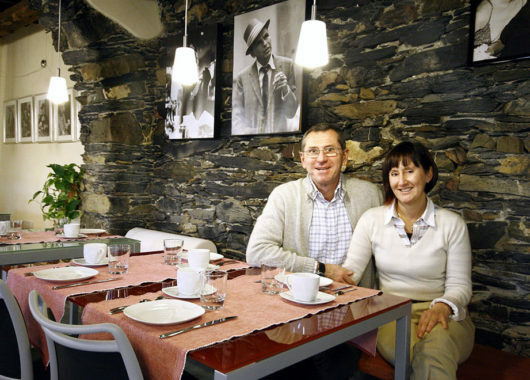 Our Guests find books, magazines and guides dedicated to itineraries, history, culture, Ligurian food and wine. Outdoors areas like veranda, solarium and garden. The exterior and interior spaces without architectural barriers. We accept the major credit cards (Visa and Matercard).